To use the richness of wood, in an artistic design, and to build with precision. To collaborate with the client and develop a synergy in the creative process. The outcome, a beautiful piece of furniture, unique in design and functional in use." We build custom high end furniture thats designed to last generations. We design our work around your needs (budget, colors, existing space) and then provide detailed estimates and deadlines so you know exactly what to expect. We have been making custom furniture for over 15 years now. We do general contracting in and around the Boise valley. From bathrooms and kitchens to additions we take pride in all that we do. We do it right the first time. 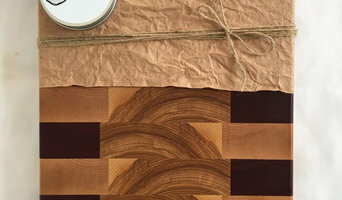 For over 22 years, Scott Jablonksi founder of True Craft Construction, specializes in high-end woodworking and trims, as well as custom cabinetry. Every project is delivered & installed on time, within budget and with the highest quality of craftsmanship. We want to help your dream woodworking plans come to reality. Please call us today for a free consultation! At SMS Handyman Services I personally focus on only one thing: consistent delivery of first-class craftsmanship and superior customer service. Whatever your home improvement project whether you need something installed, built, repaired, or maintained I am the expert to get the job done right, every time. With over 12 years in the business I have the expertise to get the job done right the first time, every time. I have done countless jobs in the area and have never had a problem getting the job done on time and on budget with everybody involved leaving with a smile on their face. I take the up most pride in all of my work and show it on every job I do. Thank you for considering me and I hope to show you what I have to offer soon. Master Woodcraft & Furniture. Design with aesthetics as well as function in mind. Our clients are a relationship, not just our income. Franklin Sensors is known for its highly accurate and easy to use stud finders. Our stud finders are designed using the latest technology and are carefully constructed to provide years of reliable operation. Franklin Sensors is the first company to invent, and bring to market, the instant stud finder. The instant stud finder can instantly detect studs, and its accuracy is significantly higher than conventional electronic stud finders. Our goal at Franklin Sensors is to produce the finest, most advanced stud finders in the world that will meet the expectations of the most demanding professionals. In order to achieve our goal we adhere to the following principles: Products are designed with the latest technology. Our products will consistently have the highest quality. Production processes are carefully tuned to ensure consistent quality. We stand behind our products to ensure high customer loyalty. Custom builds for any home. With the best cuts in town why not choose Woodbros! Maine Results has brought 40 years of experience and craftsmanship to Idaho. We have been servicing the treasure valley for 5 years. We do repairs to complete remodels. Local carpenter providing the Treasure Valley with an honest and professional service. Licensed and insured. MHW is a full-service woodworking company, specializing in custom wood furniture for customers in Idaho and across the country. 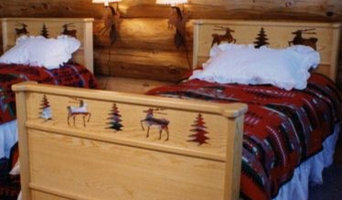 We build furniture that your grandkids will be proud to own. When deciding whether to employ a joiner or carpenter in Boise, ID, it is best to pick your professional according to their experience on projects similar to your own. For example, installing bespoke joinery such as a staircase involves significant structural work and you might want to work with a carpenter in Boise, ID with considerable experience in bespoke staircase joinery. You will often find you need to employ both a carpenter and joiner on a single project, and some firms will offer both skillsets which can simplify your overall hiring process. Where can I find a good Boise, ID carpenter or joiner? On Houzz there are many professional Boise, ID carpenters and joiners that specialise in providing a full carpentry service or bespoke joinery in Boise, ID, whether dealing with fitted or freestanding, traditional or contemporary furniture. Simply search for a joiner or carpenter in Boise, ID in the Find Pros category, then add images of designs that you like to an Ideabook and contact those on your shortlist. If you need reassurance beyond photos of their work and reviews of previous clients, then you might check to see if the carpenter or joiner is a member of The Institute of Carpenters (IOC), The Guild of Master Craftsmen, the British Woodworking Federation (BWF) or the Federation of Master Builders (FMB). Each asks its members to meet a certain level of expertise and abide by a code of conduct. Have a face-to-face consultation – basic brief and image references in hand – see which joiner or carpenter in Boise, ID is the easiest to get along with and who best understands what you’re trying to achieve. How long have you been a joiner or carpenter in Boise, ID? 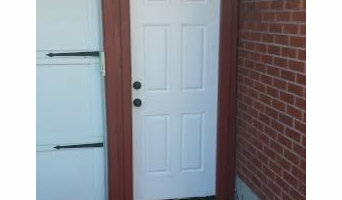 Do you offer bespoke joinery in Boise, ID as well as standard carpentry? Find a carpenter or joiner on Houzz. 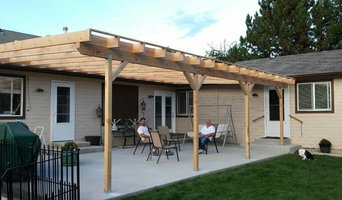 Narrow your search in the Professionals section of the website to Boise, ID joiner and carpenter professionals. You can also look through photos of woodwork and bespoke joinery in Boise, ID by style to find a design you like, then contact the joiner or carpenter in Boise, ID that worked on it.